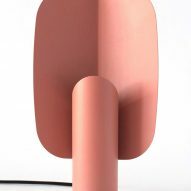 Mexico's Bandido Studio collaborated with designer Cesar Núñez to create this table lamp, featuring a lozenge-shaped reflector that is folded down the middle. 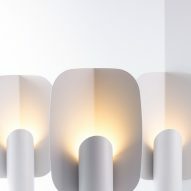 The BO Lamp was designed so its light source points at the creased metal sheet, providing an ambient glow. 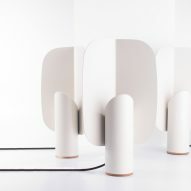 "Through observation and experimenting with different materials, the BO Lamp generates a warm and soft light that reflects on the V-shaped metal sheet," said Bandido Studio, founded by Alejandro Campos and Joel Rojas. 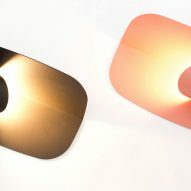 "The inspiration came through an iterative process, which involved watching how light is transformed by nature – how it reflects and gets absorbed through different elements." 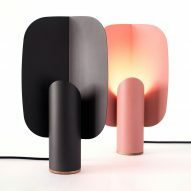 The body of the lamp has a matte finish to diffuse the reflection. 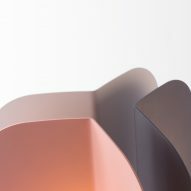 A touch-activated sensor hidden in the cylindrical base also allows the user to change the intensity of the LED light and alter the mood. 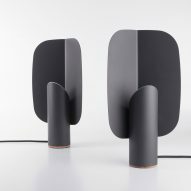 The folded portion, which looks like abstract wings or petals, attached to the base almost halfway up. 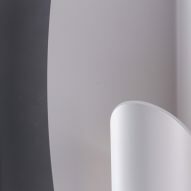 The angled top from which the light is emitted at a 45-degree angle towards the centre of the vertical crease line. 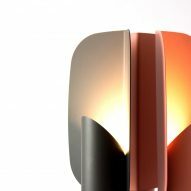 The lamp comes thee colour options, which Bandido Studio calls Champagne White, Oxford Gray and Peach Rose, and uses across its range of industrial designs. 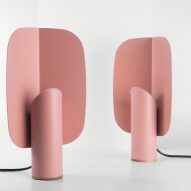 The duo, based in Puebla, has launched several lighting and furniture designs over the past two years. 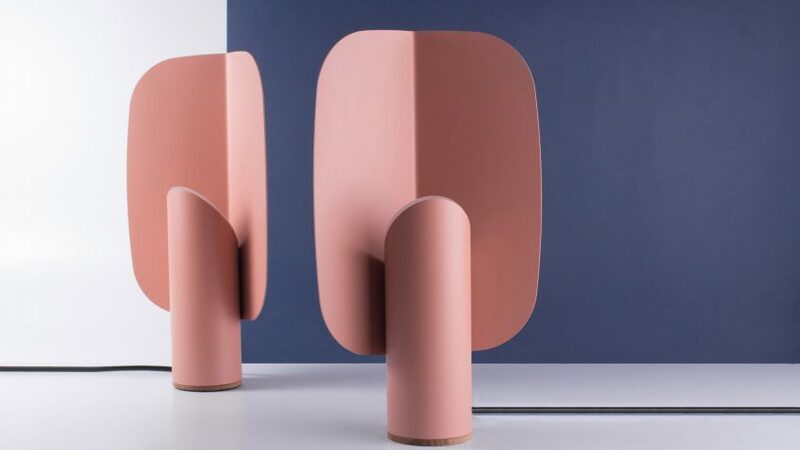 They are among a growing number young designers living and working in the country, who present work during Design Week Mexico in the capital each October. 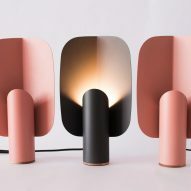 At last year's event, projects exhibited included lamps that pair pink volcanic rock and copper, a collection of "brutalist" furniture, and screens and lights woven by artisans in Oaxaca.